Grelle's outstanding stories on canvas are master works of detail and narrative. 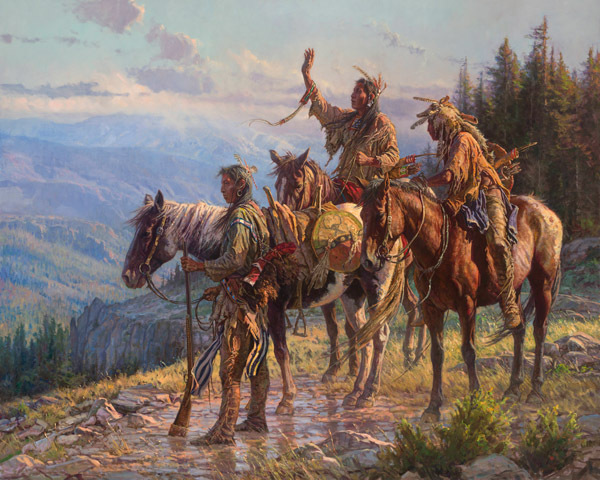 These braves have stopped on their journey to pay tribute to the spirits that always guide them. One of the braves raises his right hand and looks to the sky with great reverence.